Keeping exhaust tubes and other metallic surfaces clean became much easier with the new Polish by Meguiar's for plating and metals. You only need to apply a small amount of polish on any chrome, polished aluminum or any other metallic surface to get intense gloss! No need for hard scrubbing, dirt comes off easy. 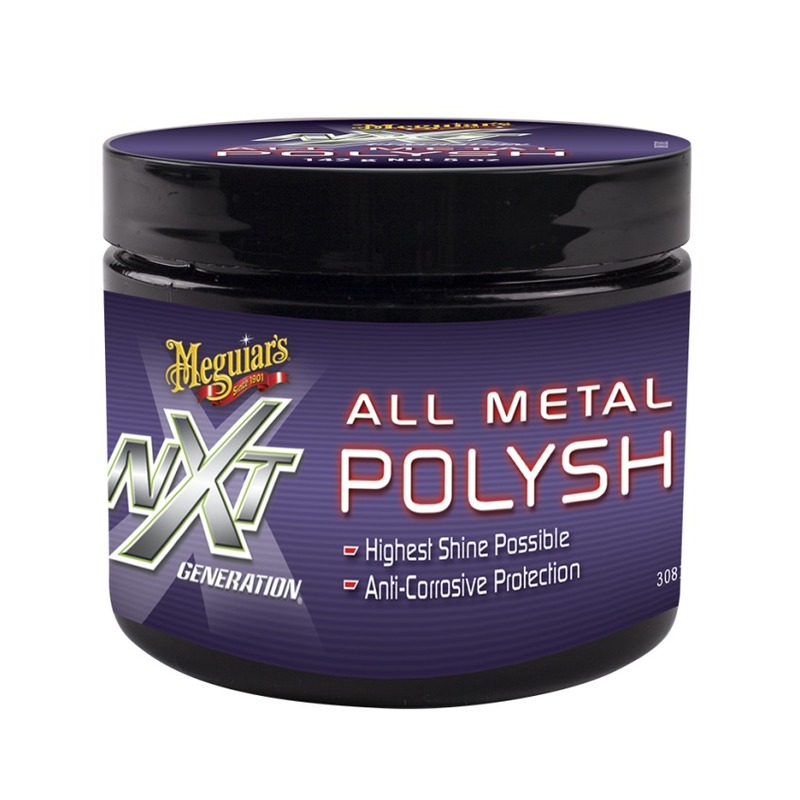 Made with a special polymer mix, this product keeps metallic surfaces shiny for longer with striking results without any chemicals or chemical odors.